Mongolian culture is often veiled in mystery. As a nation on horseback, Mongolia shows its cultural charm in a unique different way. 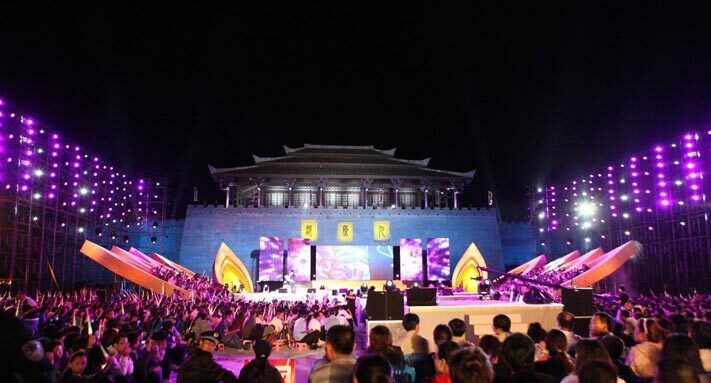 Let us follow Donglian Cultural & Tourist Art Festival to explore the Mongolian culture. Erdos carnival is one of the most colorful activities in the Donglian cultural art circles. Beginning from tourism and leisure as the foundation, the carnival is abundant in activities and adds amusement activities to the First Summer Gourmet Festival. The banquet brings Xiongnu historical culture, dance art, production and life custom, imperial etiquette and catering culture together, featuring luxurious, prosperous and grand imperial banquet and displaying the court feast and cultural features with distinctive carnival ways.